Coal is destroying the environment, and coal will soon run out. So it is almost guaranteed that in 2050 people will be living off renewable energy! YAY! Soon all homes will be built using 3d printers! Isn’t that awesome! 4. Saudi Arabia -No More Oil? Oil on earth is running out, and it is predicted that in Saudi Arabia, oil will disappear by 2030. Sealed in April 1992 will be opened. 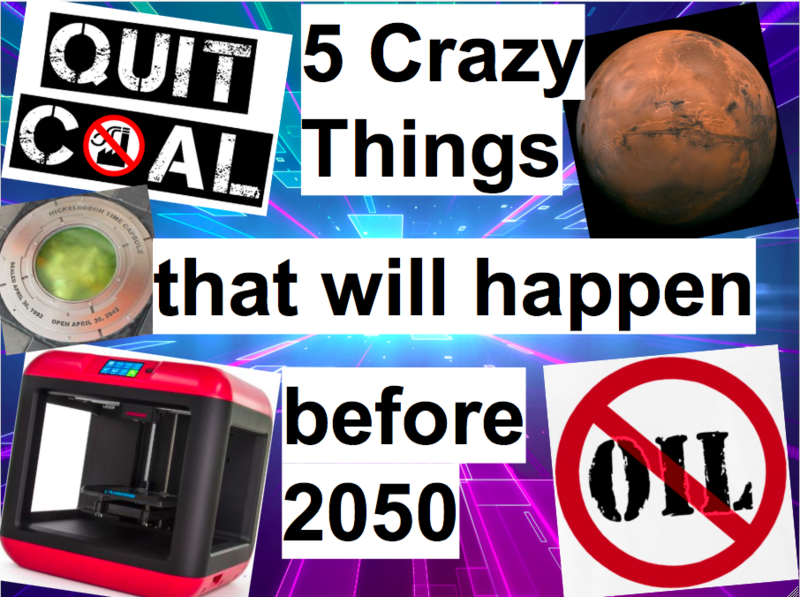 Won’t people in 2042 be excited!